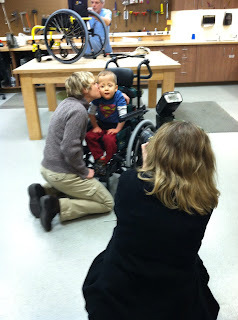 The majority voted for Gavin to wear his Superman shirt, no surprise, for today's big photo shoot at the hospital! It turned out to be the best choice... and most "fitting" for a variety of reasons. Today was a really wonderful day. The morning started with a visit to Gavin's Orthopedic doctor, Dr. Gabos. He hadn't seen Gavin in a whole year and was FLOORED when he walked in to see Gavin holding my hand and walking around the exam room. He just couldn't get over it and proclaimed the appointment the best one of his day. Gavin showed off by walking on his own... standing on his tip toes to show his strength... and getting through a great exam with a smile. Dr. Gabos had us get a quick XRay of Gavin's hips - which checked out okay - and he also checked his spine. Gavin's spine has a curve to it, but it's still very flexible. He told us not to worry about scoliosis... it may never happen. Fingers crossed. It is always such a pleasure to see Dr. Gabos. And I was so proud that he was impressed with Gavin's progress! Gavin and I had a quick lunch in the cafeteria before heading to his photo shoot. Between the pictures and the following interview, we were probably there for about two hours. 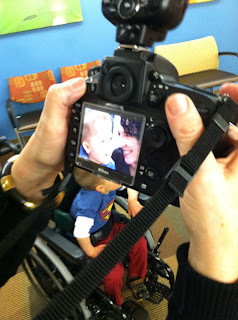 Gavin was as sweet and patient as always - he is so laid back in every situation. First he got some photos taken with Denise who works in the wheelchair clinic. 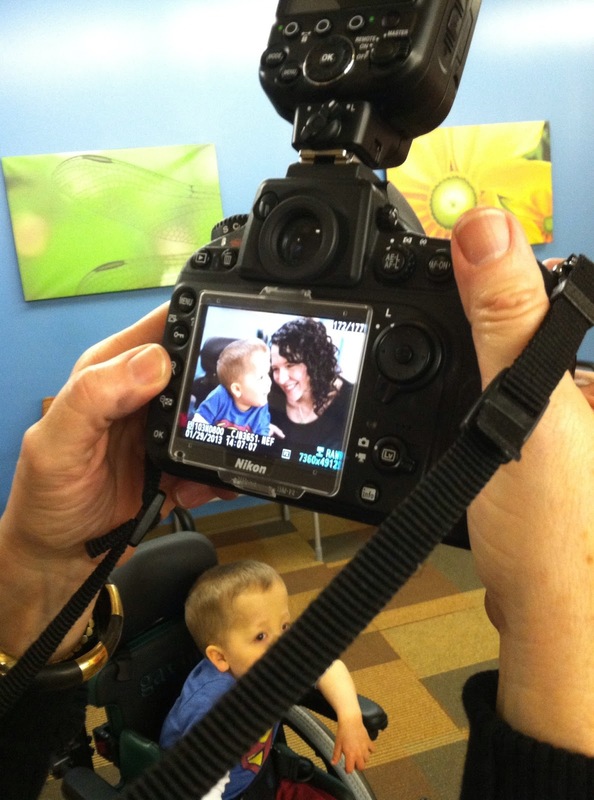 We have been working with Denise since Gavin got his first chair when he was about two years old. We just adore her - she's a wonderful person. And she knows her stuff! I call her the MacGyver of wheelchairs. Then the photographer took some photos of me "casually walking into the clinic pushing Gavin's chair" - which was quite hilarious. 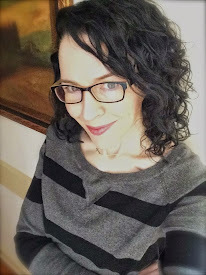 I put way too much thought into trying to look natural. First I smiled right into the camera. Because that's "casually walking into the clinic," right? Then I obsessed about hand placement on the handles of the chair and if I should stick a leg out to the side to make me look more "walk-like." Then I wondered if I should make it more realistic and walk staring at my iPhone as I push Gavin into a row of chairs by accident. Truly, the last one would have been the most "natural" - but I opted for a coy smile as I looked lovingly down at the top of my son's head, flipped my hair back and kicked my foot up in the back. 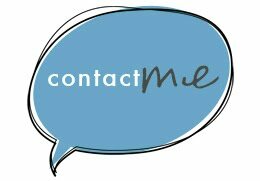 The good news is - the photographer is going to mail me a CD of ALL the photos!! The bad news is there is no bad news! I'm so excited to have some nice photos of Gavin and me. Gavin and I were then interviewed by Paul Flaherty - a nice Irishman who works on the hospital website. Gavin looks rather unimpressed with my answers to his interview questions in this photo, but we had a great chat. Talking about Gavin and all of the things he has overcome always makes for good conversation. I remember vividly sitting him on the altar - hoping to get a quick shot. 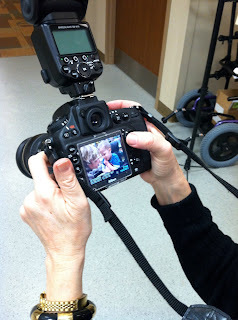 Our very first helper, Miss Kara, held him up until I got in position with my camera. I counted to three and she let go - I thought I had about two seconds to take a picture before he fell over. 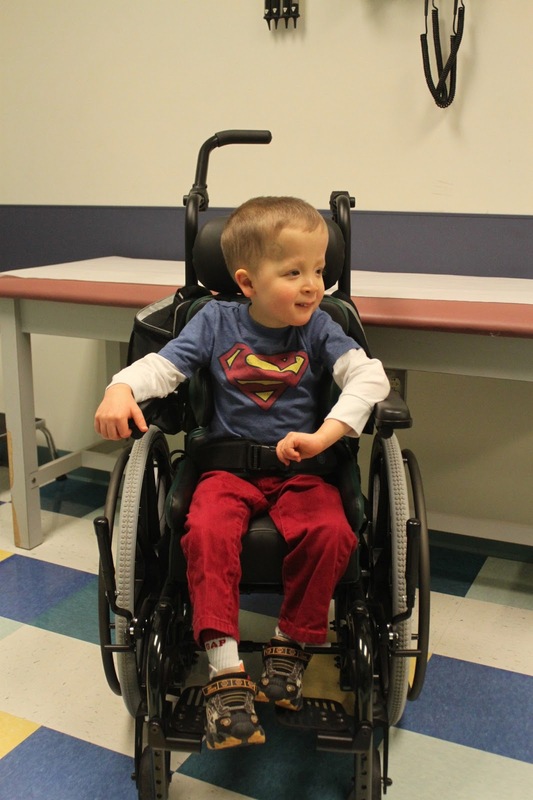 Gavin had never sat up - and many thought he never would. Imagine my surprise when two seconds passed. And then ten seconds. And then twenty. 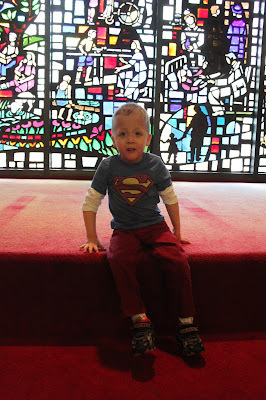 Our little superhero sat up alone for the very first time right there on the hospital chapel altar. Yep. You chose the most perfect outfit for today. 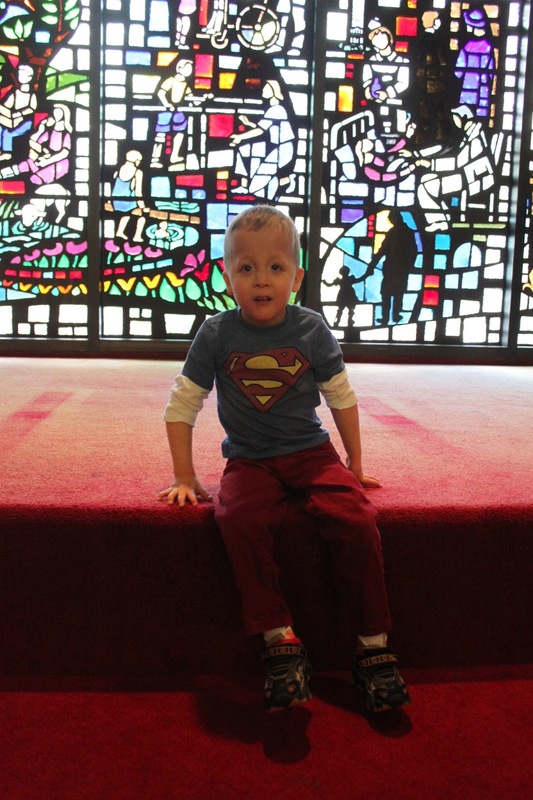 That silly Superman shirt was like a tribute to every mountain Gavin has climbed to get to today. It perfectly summed up an inspiring five years. I "casually walked out of the hospital" swelling with pride. 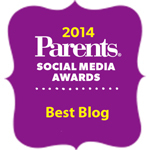 Oh my gosh - I love how you celebrate your children, especially Gavin and every thing he does. Thank you for sharing him (and your whole family) with us. I'm so happy for how well Gavin is doing. You are such a wonderful Mom.